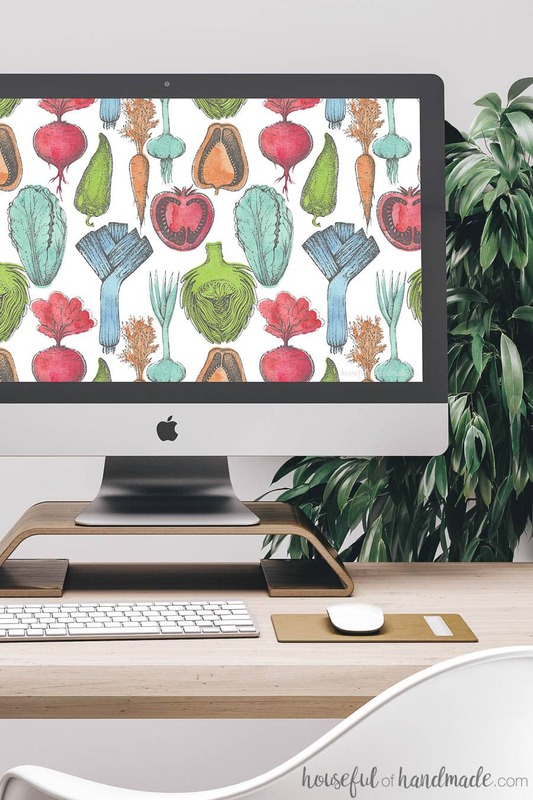 Bring the farmers market to your screens with these beautiful free digital backgrounds for August. 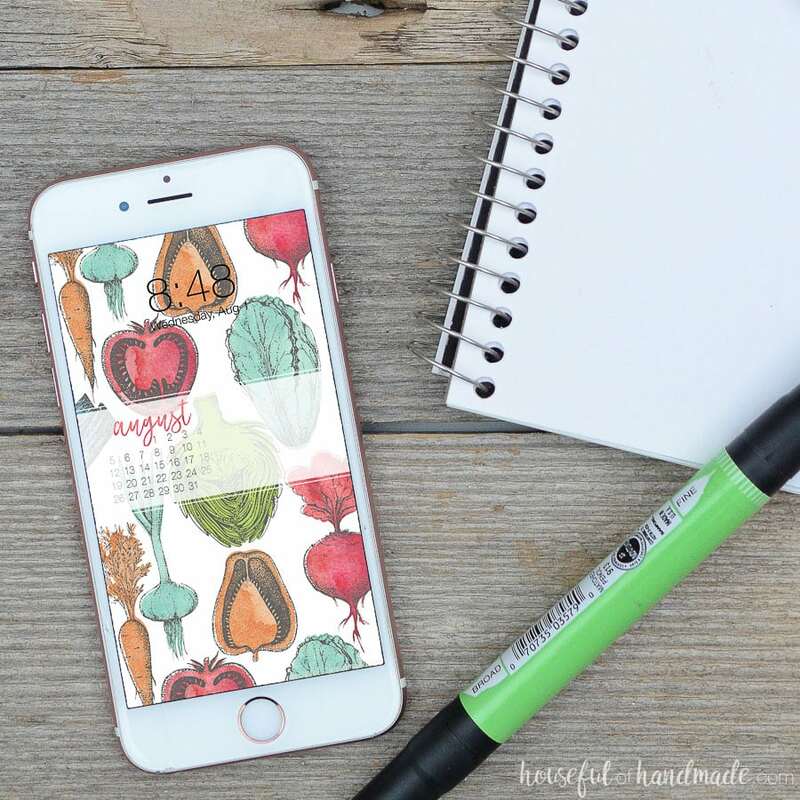 The watercolor vegetable pattern is the perfect way to decorate your electronics for the last days of summer. Hello August! I am so happy to see you again. If you have been around here, you may already know that August is my favorite month. There are so many things I love about August… First, it’s my birthday month and second, farmer’s market season! I look forward to farmers market season so much, that is where I took my inspiration for the free digital backgrounds for August. 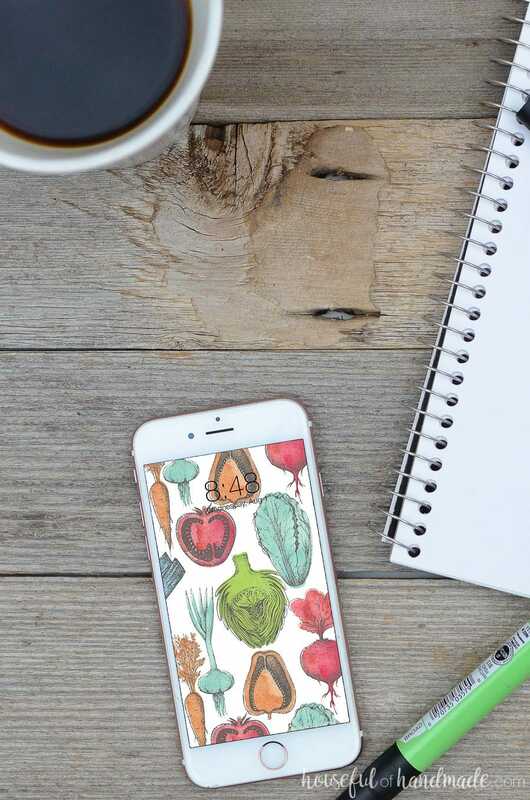 I found these hand-drawn fruit & vegetable designs on Creative Market when I was looking for art options for the farmhouse kitchen remodel. But I never ended up using them in the kitchen because I didn’t end up with any empty wall space. So when I was thinking about my favorite things about August, I remembered the art I bought and knew it would be the perfect jumping off point for the digital wallpaper designs. Since I love all things watercolor (there is just something fantastic about the unique ways the water makes the colors dance), I decided to add some watercolor to the hand-drawn vegetables. Instant farmers market art! So I turned the beautiful new designs into a seamless pattern for the free digital backgrounds for August and fell in love with the results immediately. 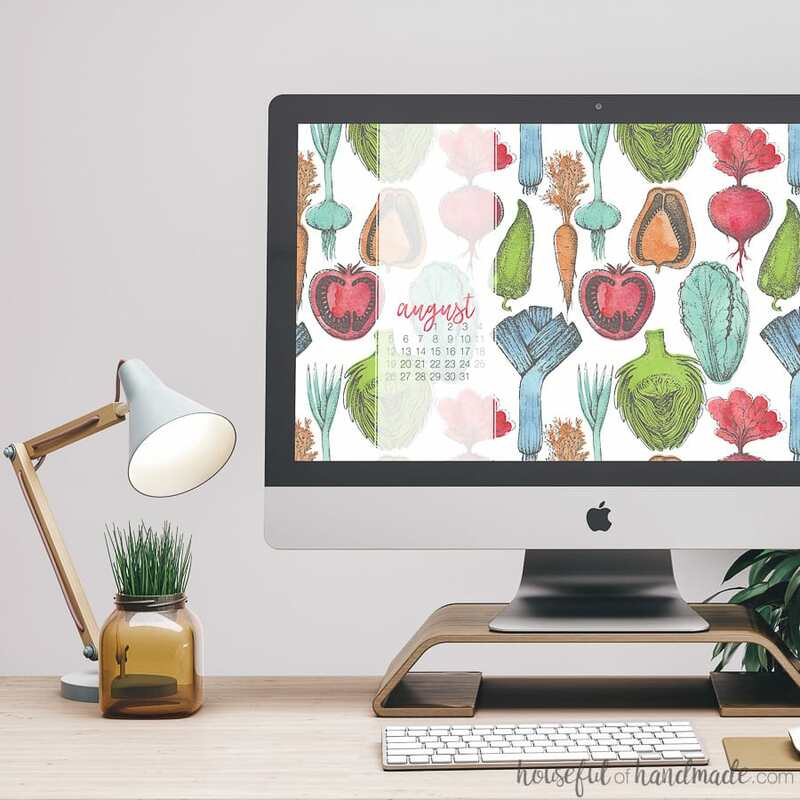 If you want to celebrate the amazing produce of the end of summer on your electronics too, click on the link (or links) below to download the free digital backgrounds for August today! And now I am off to enjoy the last month of summer… including the weekend farmers market and lots and lots of good produce.